Humaneyes Technologies has announced a number of notable updates to its virtual reality (VR) camera and associated products. 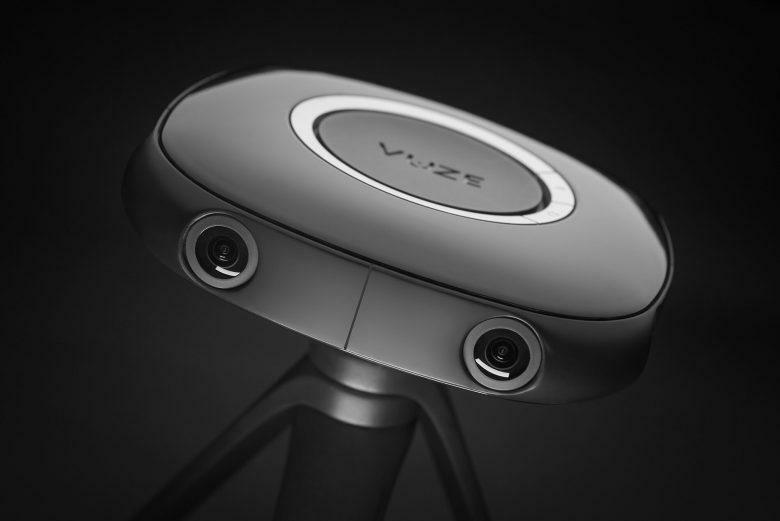 To recap, the Vuze is capable of capturing and rendering 3D and 2D VR content using eight on-board HD cameras, as well as 3D audio via its four internal microphones. At 12x12x3cm, the Vuze is pitched as a portable “point-and-shoot” VR camera, and with a $799 price tag it’s targeted at “prosumers, filmmakers, and video and production industry pros.” The Israeli firm debuted the Vuze VR camera last May, opening the device for preorders almost a year ahead of the its eventual shipping date earlier this year. To mark the 2017 IFA consumer trade show in Berlin, Humaneyes has announced that Vuze VR Studio — the company’s automated production and editing software for VR footage — will be arriving for Mac users as a beta version by the end of September. This is in addition to the existing Windows incarnation. Additionally, Humaneyes revealed that it’s launching an underwater case for divers and swimmers later this year, and in the coming weeks it will roll out new Android and iOS apps that allow users to see preview images and videos prior to capture. With Google ramping up efforts to encourage Joe Public to contribute 360-degree imagery to Street View, Humaneyes has also revealed that the Vuze VR camera now comes with Google Street View live integration, meaning users can automatically “create, edit and share” content directly to Google Street View. According to Humaneyes, this makes it the first 3D-360 VR camera to offer this feature out of the box. Humaneyes also announced that its camera will support livestreaming from early 2018. “After our initial launch, we’re getting some great feedback from current users on how to make the camera even better,” explained Humaneyes Technologies CEO Shahar Bin-Nun. “With these updates, we’re making it even easier to create and share truly immersive experiences, whether it’s capturing 360 VR video on land or shooting under the sea. We’ve also been getting lots of requests to make it possible to livestream VR content captured from the Vuze VR Camera and are happy to announce that we’ll have those and other features live early next year.” Founded in 2000, Humaneyes says it holds more than 70 patents across the 3D and photographic 3D realm, and its new camera is the result of several years of R&D at the Hebrew University in Jerusalem. While countless new VR headsets and technologies going to market over the past couple of years — including Dell’s Visor headset, which was announced this week — what’s needed now is more VR content. And that’s why we’re seeing more VR cameras on the market. Vuze is notably cheaper than other professional-grade devices that have launched, such as Nokia’s $45,000 Ozo and GoPro’s $15,000 Odyssey, and even other consumer-focused VR cameras, such as Hubblo, which launched for $1,000 earlier this year.